After having all but locked down the vote in the second-largest regional affiliate of the Socialist party in Catalonia, former party secretary general Pedro Sánchez reportedly sees a path to victory in the current PSOE leadership contest that directly challenges rival Susana Díaz in her home territory of Andalucia, where Díaz leads the largest Socialist regional affiliate party in Spain. In last week’s collection of signatures to validate candidacies toward the 21st May election of the PSOE’s new secretary-general, Sánchez garnered 6,058 signatures to just 974 for Díaz in Catalonia, where the PSC comprises the second-largest party within the national Socialist infrastructure. In Andalucia, where Díaz is both regional President and current party leader, Sánchez gathered just 8,018 signatures of support (20.5 percent) to 26,551 (61.74 percent) for Díaz. With Sánchez’ lead in Catalonia virtually unassailable, his campaign team has now turned its attention to Andalucia, where nearly 20 percent of the signatures gathered went for neither of the two leading candidates. Many of those signatures were in support of the third third candidate in the leadership race, former Basque regional president Patxi López. The López campaign team has not revealed a regional breakout on figures collected for his candidacy, which barely collected the minimum support nationwide to enable him to continue in the leadership race. Support for Díaz in her own region of Andalucia has been reported wavering in recent weeks, with several “historic” leaders of the regional party defecting to the Sánchez camp amid concern that a regional power vacuum could be created in Andalucia should Díaz win the national leadership race. 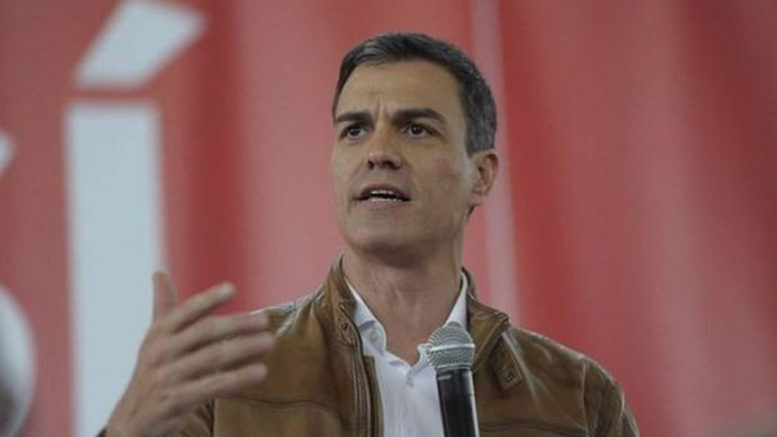 The Sánchez team is now reportedly focusing on winning over Socialist voters in the Andalucia, particularly in the provinces of Cádiz and Jaén, where anti-Díaz sentiment had translated into support for López. The Sánchez campaign is said to hope that a combination of softening Díaz support and the fact that many López supporters should now see a vote for Sánchez as the only way to effectively vote against Díaz will enable them to carve out another 10 percentage points in the regional Andalucia vote — enough, they say, to ensure a Sánchez victory nationwide. At the same time, Sánchez campaign strategists speaking in Sevilla have reiterated the offer made last week to López to throw in the towel and join a unity ticket with Sánchez, an offer the trailing candidate has yet to indicate any willingness to accept.